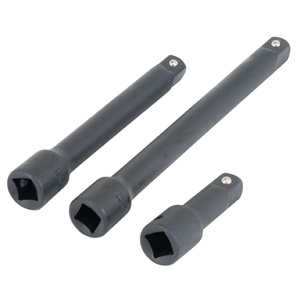 Extreme Torque impact extension bars fit cordless, electric and pneumatic impact wrenches. Made from durable chrome vanadium steel for a longer life span, the bars have a black oxide finish that resists corrosion. The set includes three, popular sizes: 4", 6" and 10".